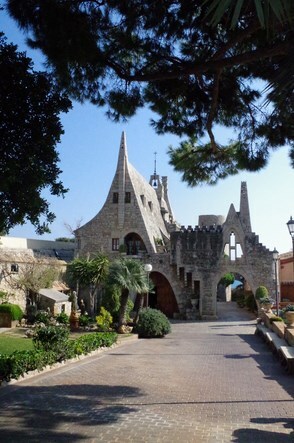 Entering Garraf village, we find the spectacular work due to Antoni Gaudi. 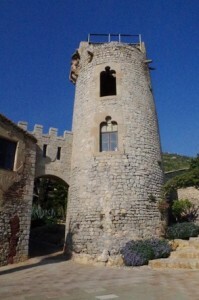 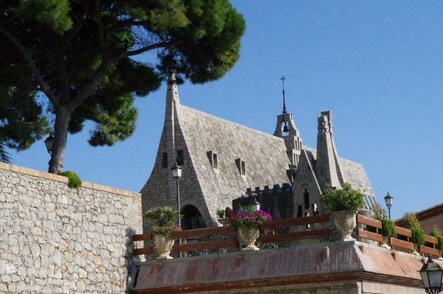 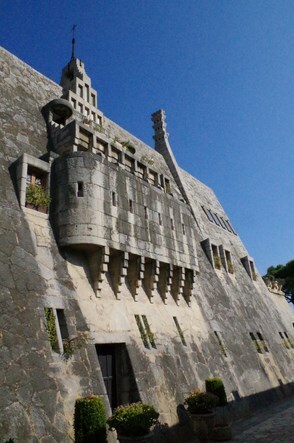 Both buildings were built in Quadra del Garraf, between 1895 and 1900 in order to store wine. 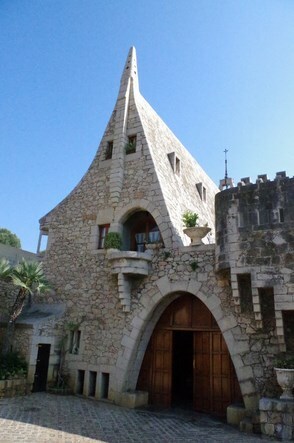 Antoni Gaudí and his assistant Francesc Berenguer i Mestres, have built a building to serve as a cellar and another as the concierge housing whit gray stone with a parabolic arch that serves as an entrance to the property gate. The basement supports three floors with a the chapel at the top, open on one side with a terrace offering views to the sea. 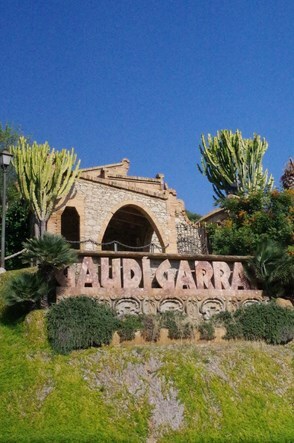 You will find there a restaurant open all week-ends, called Gaudi-Garraf.